While researching City of Style: Exploring Los Angeles Fashion from Bohemian to Rock, fashion and beauty writer Melissa Magsaysay left no designer rack unruffled, no dusty vintage store unscoured. She hips us to the best beauty shops across the city. LOS ANGELES – LA beauty isn't just fake tans and over-bleached extensions. There are plenty of charming boutiques housing hard-to-find cosmetics, perfumes, and hair products from all over the world. Some shops are off the beaten path but well worth the drive if, like me, you're a beauty junkie looking for new and exciting finds. Ron Robinson's boutique inside the legendary Fred Segal West Hollywood store is a jewel box full of beauty and home items. The Apothia line of candles and home scents, started by Robinson, make wonderful LA souvenirs. Candles and hand-wash in original Wave and Casa scents can turn even the tiniest of city apartments into a beach retreat. The place for boys who need a beard trim or haircut. My husband frequents the throwback shop for his grooming needs, like beard oil by MCMC Fragrances, which comes in a chic roll-on container and has a wonderfully earthy/musky smell. A local destination for a broad selection of all-natural, non-toxic products. Not limited to beauty, they also offer teas, juice cleanses, gourmet jams, and chocolate — all in the name of wellness. A must-see for the ecoconscious and all-natural beauty lover. 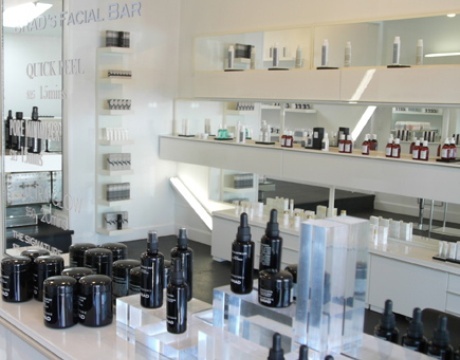 The sleek, minimal boutique has the best of the best, including Tata Harper, Arcona, and Tracie Martyn. The west coast outpost of the eclectic Williamsburg apothecary. This boutique is all about a sense of discovery. With hair care from Sweden, candles from Australia, and all-natural oils from Canada, it's like a trip around the globe through well-packaged, insanely good-smelling beauty items. Who wants to smell like the perfumed scent strips in every glossy magazine? Not me. 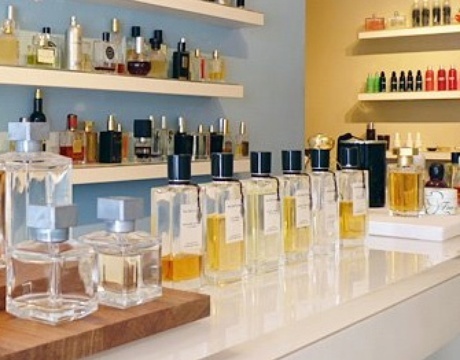 Scent Bar stocks limited-edition perfumes that are hard to find, many with an under-the-radar cult following. The carefully curated selection makes the experience exquisite, not overwhelming. Nestled in a Beverly Hills strip mall, the small, packed beauty supply store is my local favorite for the robust stock of affordable Voluspa candles and all-natural makeup products from Jane Iredale. Located on one of LA's only walking streets, the charming beauty supply store offers enticing brands and a quaint shopping experience. Sets from Molton Brown and L'Artisan Parfumeur make great gifts (if you can bear to part with them). 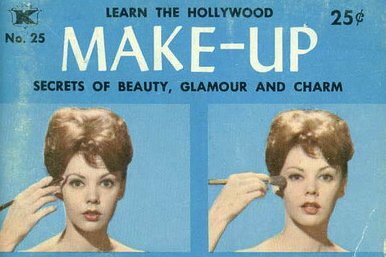 The huge talent pool of makeup artists working on celebs, TV, film, and stage lean on Naimie's for professional-grade products. If you're a veteran makeup artist or just want to use the same tools as one, this is the one-stop shop for stocking your kit. A beauty supply store on steroids. The sprawling space has everything from boutique/cult faves to professional-use hair color and cosmetics. Stop by when you've got at least an hour to devote to perusing the aisles and finding new brands usually reserved for industry professionals. Before her breakout book City of Style, Melissa Magsasay was the style editor for the Los Angeles Times for five years, a position she landed after a three-year stint as the west coast fashion market editor at Women's Wear Daily. She travels for the expansion.